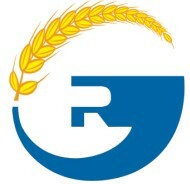 For Goldrain wheat flour machine,I like the Predictive design and the reliable equipment operating performance . We all know the Roller Mill is the Key part in the wheat flour machinery, I prefer Goldrain Pneumatic milling machine equipped with servo feeding system, can be achieved in the amount of feed mill and Material level condition adjust, feeding is more uniform,and greatly improves the grinding effect. Only cost 35 days here, then we finished installation the 50 ton/ day wheat flour machine. Goldrain technicians guide installation is very professional,China Speed ! Looking for ideal Wheat Flour Machine Manufacturer & supplier ? We have a wide selection at great prices to help you get creative. All the Flour Milling Line are quality guaranteed. We are China Origin Factory of Wheat Flour Milling Line. If you have any question, please feel free to contact us.